timedia processor, the same chip that's used in the PlayStation 3. The Cell Regza TV boasts several advanced features including the ability to simultaneously record eight high-definition channels. The 55-inch TV will go on sale in Japan in early December and will cost around ¥1 million [m] (US$11,175). Toshiba expects to sell about 1,000 of the TVs per month when it first launches in Japan. It will first arrive in the U.S. sometime in 2010, with a European release set to happen after that, but no other details on international availability were announced. The Cell chip was developed by Toshiba, IBM and Sony and each chip contains a single Power PC core and eight co-processors. Together the chips make heavy-duty processing of video a breeze. 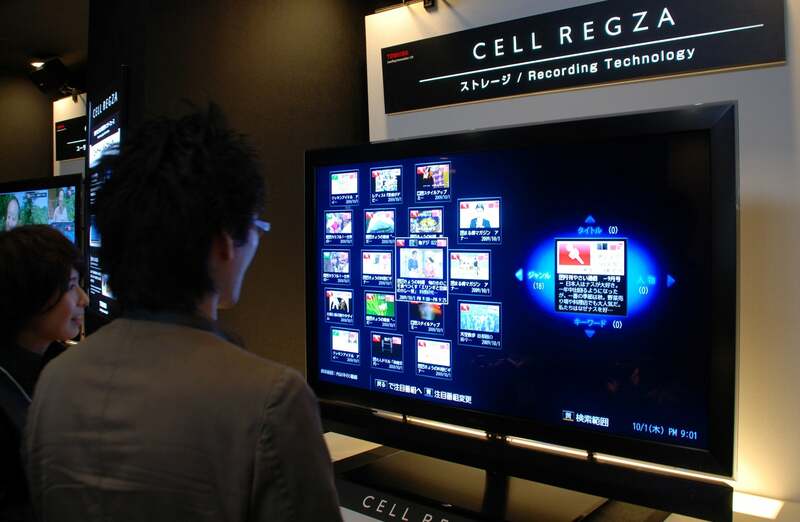 Compared to one of Toshiba's current TVs, the Cell Regza has 143 times the arithmetic processing capacity. The simultaneous recording function uses two-thirds of the space on an internal 3TB hard-disk drive to provide, when run continuously, the last 26 hours of television on-demand from eight channels. Alternatively it can be switched to record fewer channels at different times to result in a longer overall library of programs. For example, if set just to record during primetime then up to a week's programming can be stored. The eight channels corresponds to the number of terrestrial TV stations available in metropolitan areas of Japan. The remaining terabyte of disk space can be used to record desired programs and keep them for longer than the simultaneous recording function allows. Other visual tricks are also capable with the TV, such as the ability to have eight TV channels displayed on the screen at the same time. By keeping each of the TV tuners set to a different channel it's also possible to quickly step up and down through digital channels without the delay that is now common on most digital sets. The TV is being unveiled to the public at Ceatec, Japan's biggest electronics show that kicks off on Tuesday near Tokyo. 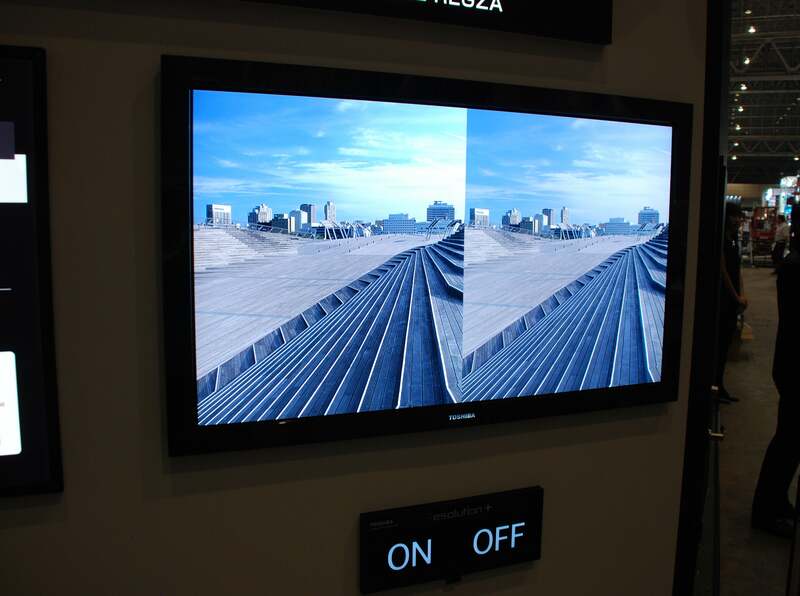 At the exhibition Toshiba is also talking about future directions for the technology including the use of the Cell chip to power a 3D television and a version with a 4k x 2k screen, which has four times as many pixels as current high-def TVs. Some of the technology from the set is also expected to make its way down to smaller TVs.